FREE MUSIC: BLOODSOAKED OFFERING DOWNLOADS OF ENTIRE DISCOGRAPHY! 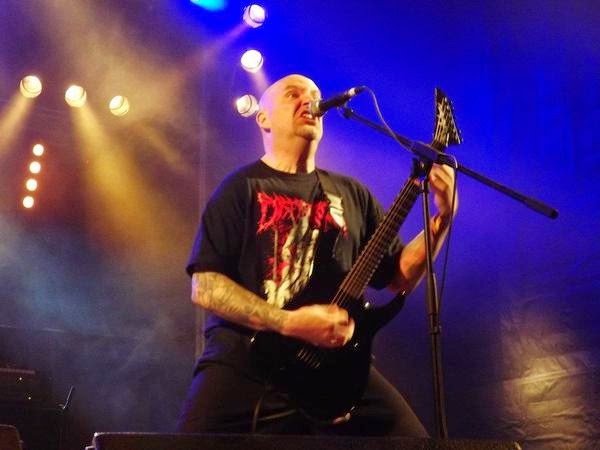 North Carolina's one-man Death Metal Army BLOODSOAKED is offering the digital versions of all four albums as free downloads! It's true and devoid of strings. You can get 2007's Brutally Butchered, 2009's Sadistic Deeds...Grotesque Memories, 2011's The Death of Hope, and 2014's Religious Apocalypse free at http://www.bloodsoaked.net/music. The most recent of the four, Religious Apocalypse, was released last year on Comatose Musicand included new cuts, live tracks and brutalized renditions of Cinderella's "Shake Me" and Ratt's "You're in Love."